After the board has been graded, it is sent down the green chain to a double end trim. A double end trim is a machine with two saws at each end that cuts board to proper length, and to cut bad sections out of the board. After the double end trim, the board travels down a chain to be stacked. The boards are stacked manually in bundles forty-two inches high. 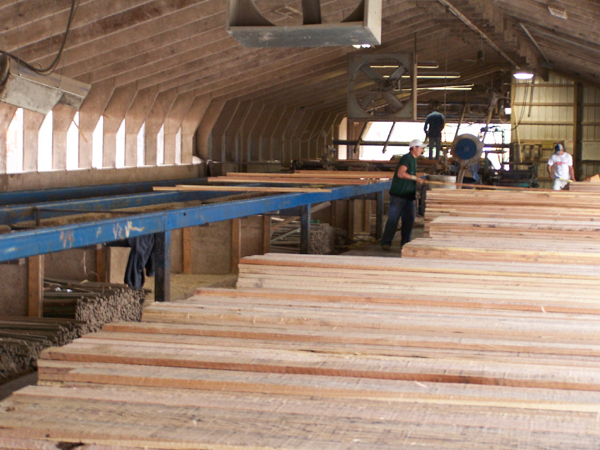 From this point, the lumber is sold green, or it is put on strips to be dried and sold as dried wood.